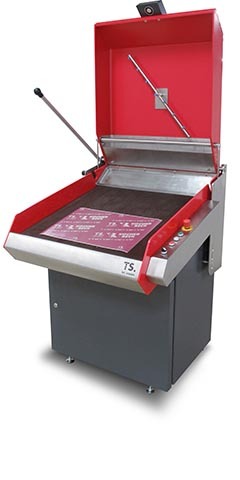 This compact and economical device is the perfect solution for the fully automated washing and drying process of all nickel based screen-printing plates. It guarantees consistently high results in the pre-press stage. The whole development process was driven by experts out of the Kocher + Beck TecScreen Department. “We are very happy to present the newest Kocher + Beck innovation. The new processing unit enables time savings and an optimization of costs to our customers,” says John Fehrenbacher, Product Manager TecScreen. The TecScreen Processing Unit will make its first public debut at Label Expo Americas in Chicago, September 25-27, 2018. Stop by Booth 529 in Hall A to view it and our other product lines.